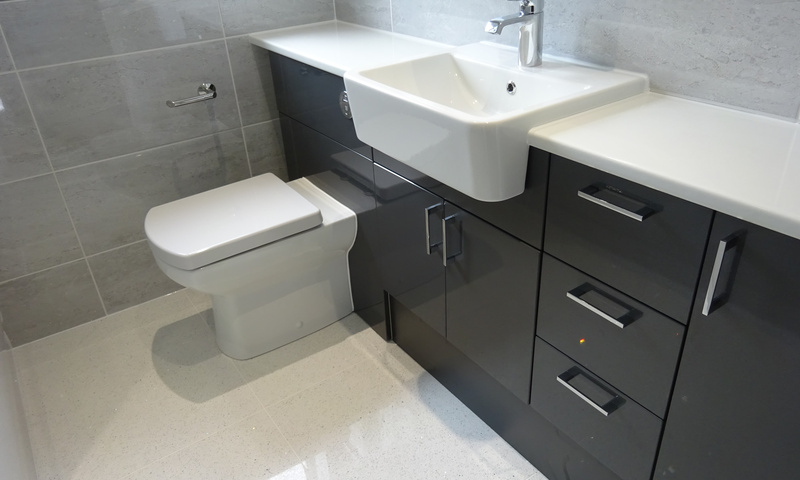 We only use high quality bathroom products from established bathroom manufactures. Tavistock is our go to basin, toilet taps and shower manufacture. They supply bathroom products for major companies including the new terminal 5 building at Heathrow airport. Tavistock offer a 10 year manufactures guarantee on its products. The baths we use are from Trojan baths. We fit the reinforced bath as standard. Trojan baths offer a 25 year manufactures guarantee as standard. The fittings we use include John Guest and McAlpine which are viewed as the highest quality plumbing fittings. Floor timber is marine ply. The grout is Mapai which is both water repellent and mold resistant. We guarantee all of our fitting, plumbing and tiling for two years.